Schumacher Secure, a division of SCL Inc., is a company dedicated to providing the best classic car shipping services for vintage, high profile and collectible automobiles. We have dedicated export specialists who offer on site auction services at all major auctions in the USA and have had the pleasure of doing this for more than three decades. As an international classic car shipping company specializing in the safe movement of vehicles, we are proud to offer the discerning car collector a completely secure and professional mode of transportation for their vehicle. And with a vehicle like we saw at Monterey Car Week 2013, secure transportation is the only option that makes sense. Not only do we have a specialized loading procedure, we proudly own and maintain our warehouses while also providing a unique online tracking system to ensure the preservation of your investment. We take our jobs very seriously. 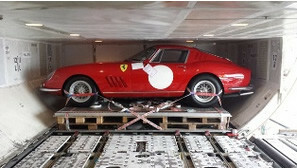 The art of shipping classic vehicles overseas, either by land, sea, or air, demands the highest level of service and our expertise in the matter has made us a leading auction car shipping company within this niche industry. 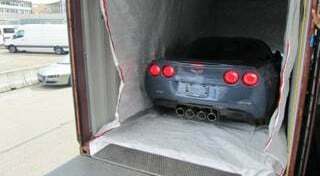 Why choose Schumacher Secure over other high end classic car shipping companies? Additionally, we are constantly present and involved at international events such as Retromobile, as well as popular auto shows and classic car events across the US. Above all, we love classic and vintage cars. Having a solid understanding of the requirements that facilitate a professional service allows us to offer a customized and tailored service to each of our customers. So whether you need to ship a classic vehicle you just bought in the USA back to the UK, or across the Pacific to Australia, our dedicated team of experts will assist you with every step in the process and ensure that your time with us runs as smoothly and efficiently as possible. Looking for 2014 Classic Car Events? Looking for a new Vintage Car? We’ll ship it internationally from anywhere in the USA! Whether you have a 1915 Peerless or the latest Ferrari, we love cars at Schumacher Cargo! Vintage cars, racing cars, family cars and barn-find autos all have a history, and if they need to be moved to another part of the world, we will provide the care and attention needed to make sure your vehicle arrives safely. For those avid motorcycle collectors, or riders, Schumacher Secure also handles classic and vintage motorcycles. We ship lots of motorcycles overseas every year and have handled some of the oldest and the raciest models ever.